Marie-Nathalie Beaudoin, Ph.D., is a clinical psychologist, best-selling author and thought-provoking speaker. In her private practice, Marie-Nathalie enjoys working with adult clients, young people or families and helps them address struggles through respectful, creative, and collaborative conversations. Her warm style, long standing experience and keen knowledge of therapies empowers people to effectively change their lives in the least possible amount of time, even if the struggles seem overwhelming or may not have responded to previous efforts. Marie-Nathalie is the director and founder of Skills for Kids, Parents, and Schools (SKIPS) which offers a variety of services to children, educators, counselors, and parents of the San Francisco Bay Area. These services include on site counseling for schools, preventative community wide interventions, psycho-educational programs, and a wide variety of classroom projects. Marie-Nathalie offers professional consultations to therapists around the world through Skype. She also provides supervisions and trainings in narrative therapy, neurobiology, and mindfulness to a wide range of people in the helping professions including psychology, MFT, and social work interns. After serving as the training director of a narrative therapy externship program for 18 years (previously at BAFTTA), she teaches as a visiting scholar in various international programs. Marie-Nathalie has published numerous professional articles and books, including the popular SKiLL-ionaire in Every Child: Boosting Children's Socio-Emotional Skills Using the Latest in Brain Research which is written for parents, teachers, and therapists, and translated in French and Spanish (see skillionaire.org). Her most recent book is titled: Collaborative therapy and neurobiology: Evolving practices in action (co-edited with Jim Duvall). 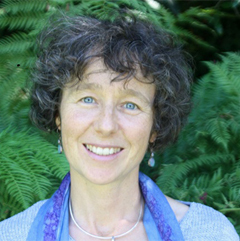 Marie-Nathalie's work has been featured in a number of magazines such as Educational Leadership, The California Educator, Teaching Tolerance, and Family Therapy. She was also filmed in several Alexander Street Press videos including Narrative therapy & neurobiology: Making changes stick in everyday lives, and From Bullies to Buddies: From problem management to the development of crucial social skills in all children (see emicrotraining.com). She has been interviewed for the San Jose Mercury News, Palo Alto weekly, and Gluten-Free living. Marie-Nathalie is an acclaimed international speaker with frequent engagements in Canada, Europe, South America, and the USA, where she is renowned for her entertaining and inspiring presentations. She has won several awards in the past such as: a Social Sciences and Humanities Research Council of Canada grant (SSHRC), a Foundation for Research in Health of Quebec (FRSQ), Best Professor award at John F. Kennedy University (JFKU), and more recently the Shine a Light Narrative Research Fund (SAL).